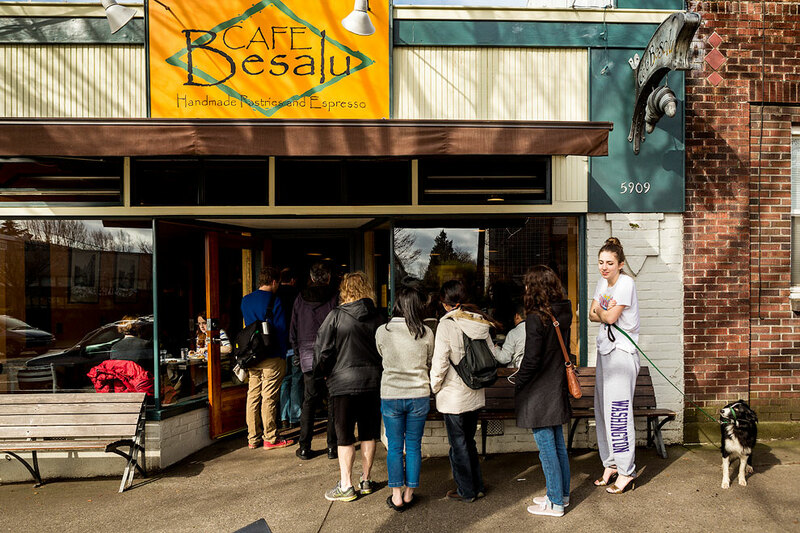 Went to Cafe Besalu this morning and had to photograph this girl wearing gold lame high heels and sweat pants and t shirt with a beautiful border collie outside waiting in line. Wonder how her Saturday night went. This entry was posted on Sunday, March 17th, 2013 at 5:19 pm	and is filed under PLACES and tagged with Landscape Photography, photojournalism, Seattle Photographer, Seattle Sidewalks. You can follow any responses to this entry through the RSS 2.0 feed.